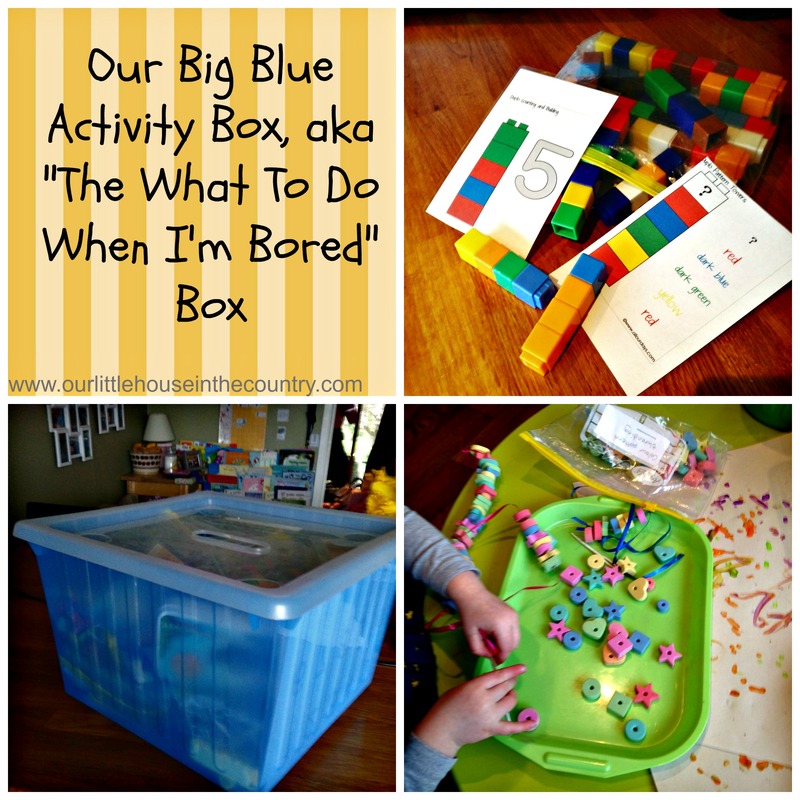 Today, I have decided to share the contents of our “Big Blue Activity Box”. Back in early January I found that both of my children were grouchy and irritable and weren’t playing with toys or anything for that matter. They would not play independently and I was completely worn out plus we were battling colds and sore throats etc. I think they were “hung-over” after the festivities of the Christmas season – toys, gifts, sweets, lots of time with both Mr G and I. At the time I felt that I was spending my days separating the two of them, listening to howls and whinging, dealing with silly behaviour. Off went the TV, iPad, etc. and Boot camp started! I removed all the toys from Doodles’ room, if he wasn’t going to play with them or behave appropriately then he would have to earn them back. So then I was left with the conundrum of what would he play with if I had locked all the toys away? So, I took to Pinterest and all my teaching resource books and put together a crate full of fun, educational activities that both D and Oodles could do alone or with me. This became our “Blue Activity” box and it sits within easy reach in our kitchen. I even showed Mr G how to use the activities so that he would encourage them to use the box especially if the “I’m bored” phrase was being thrown about! (By the way, in case you are worried about my poor child, deprived of all of his toys, he has since earned all of the toys back, and is playing much better with them now especially his Lego). This is the contents of the box. (If it was an idea I got from Pinterest, I have included the link to the website). Unifix cubes counting and matching busy bag: I spotted this great idea on Pinterest from a great blog called All Our Days. 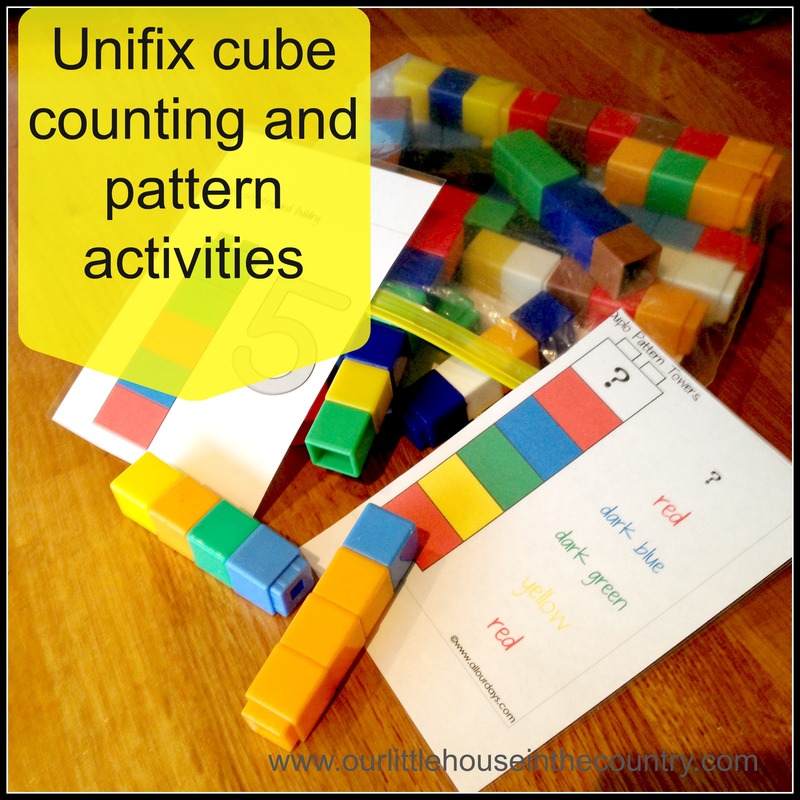 They actually called the activity “Duplo Blocks Counting & Tower Matching Busy Bag” but I had hundreds of unfix cubes used for teaching maths concepts so I thought that these were perfect for the activity as outlined on All Our Days. I downloaded, printed and laminated the pattern cards and had our first activity ready for our box! 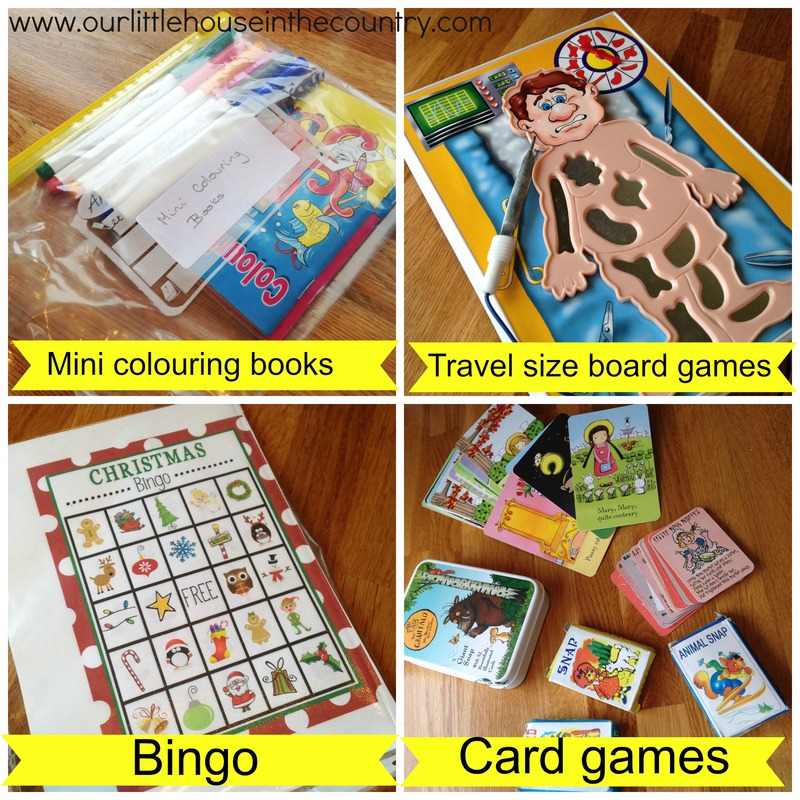 All Our Days has really great suggestions for compiling and organising busy bags. Both D and O love this activity – suitable for both a 2 year old and a 4 year old. Unifix cubes pattern towers: Again, this is idea is from All Our Days. Again she used Duplo and Lego for this activity but I used our cubes. This is simply a variation of the first activity, focusing on patterns and colour rather than numbers and counting. 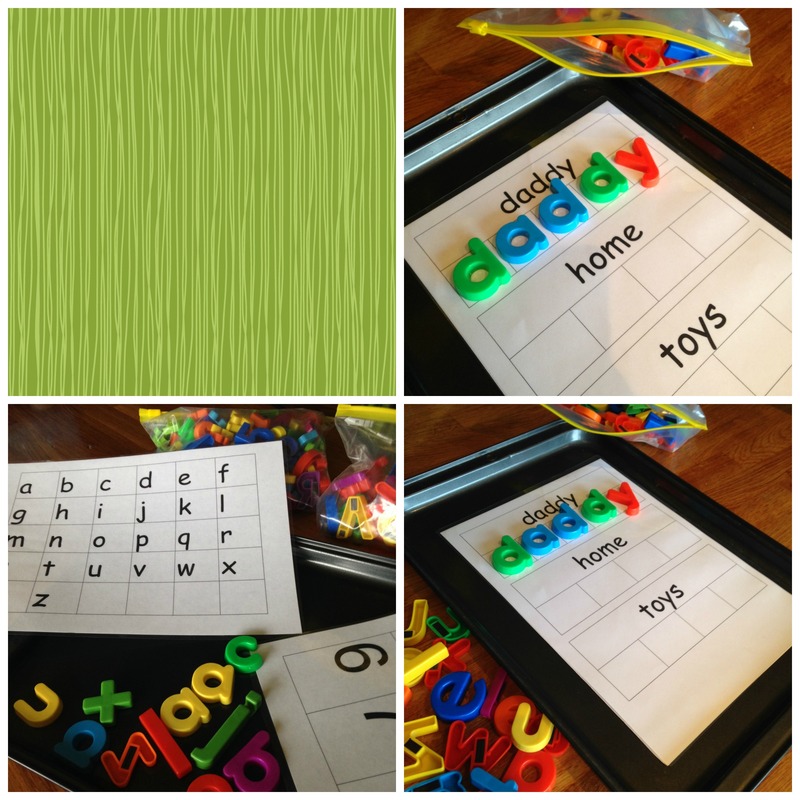 Baking tray and magnetic letters and numbers: this is a great way of developing letter and number recognition skills. I printed off a few grids of the alphabet, numbers, my phone number, common sight words, names etc. and laminated them. D and O place these sheets onto the baking tray and place the correct magnetic letter or number on the grid. This has been really useful for teaching D my phone number in case he ever needs it. Handwriting practice sheets: I downloaded this lovely worksheet from Confessions of a Homeschooler. I laminated the sheets again, and D practices his writing using a dry wipe/erase marker. There are tonnes of fantastic free printables on Confessions of a Homeschooler. 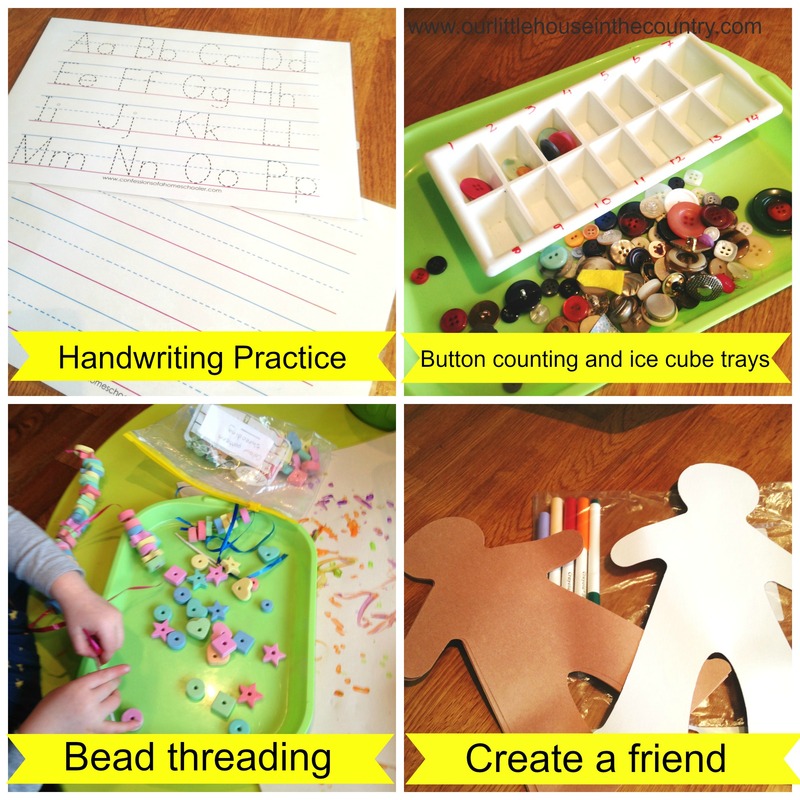 Button counting and ice cube trays: This is an activity I used to do in school with my students. Simply write numbers on each segment of an ice cube tray with a permanent marker. Children then count out the required number of buttons and pop them into the sections. Bead threading: This is one of Oodles’ favourite activities from the box. 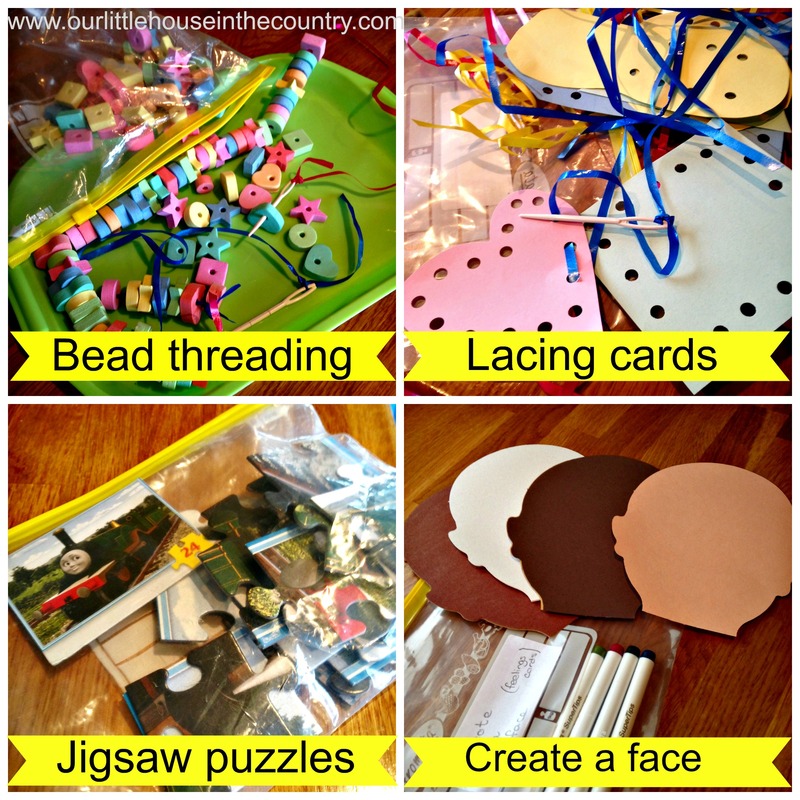 You can use any sort of bead but we use foam shape beads, ribbon and plastic bodkin needles for this activity – great fir developing fine motor skills as well as patterns. Lacing cards or paper sewing: I love to sew and all fabric crafts. Again, this is an activity I have used in school to teach basic sewing. I cut various shapes out of coloured card and punched holes around the perimeter of each shape, and D and O pass a ribbon in and out of the holes – sewing or lacing using ribbon and sometimes a plastic bodkin needle. Number cards and pegs: All Our Days have been a very valuable resource for putting this box together. I downloaded these gorgeous little number cards from there and laminated them. We keep them in a bag with lots of little clothes pegs. D places a peg on the correct number after counting the items on the card. Take a look at the post on All Our Days here. Create a face: I picked these face cut outs up from an educational supplier a few years ago. In class I have used them for encouraging children to identify feelings and express them by drawing a happy, sad, angry face etc. on the template. D and O love to draw faces on these and D is doing well with drawing the different emotions. Jigsaws: I have written here before about how I removed all of our jigsaw puzzles from their boxes and placed them in zip lock bags with the picture from the box. I have popped a couple of our puzzles into our activity box. Create a friend: We have had great fun with these cut-outs. We have made gingerbread men with them, drawn all sorts of clothes and faces on them, etc. An older child could cut out clothes from fabric or paper and stick them onto their paper doll. Mini colouring books and markers: we had lots of mini colouring books lying around the house, I try and buy them when I spot them in shops as they are so handy to pack when travelling. I have a few stored in a bag with markers ready to be used if D or O pick it out of the box. Bingo cards: I downloaded these Christmas bingo cards from Crazy Little Projects. We have a number of different bingo cards in the box for a simple, fun game! Card games: Finally I also have matching cards, playing cards, snap games, etc. in our big blue activity box. Hope you have fun putting your own box together. I would love to hear from you with other activity ideas to include in our box. I’m hoping to put another box together soon and put this one away for a while so that the activities don’t lose their appeal. I am always eagerly looking for new ideas! What a great idea! My daughter needs practice playing by herself – maybe a box like this would help! It’s certainly worth a try Emma, and not too difficult to put together either. Enjoy! Thanks for taking the time to read my post. Ciara. Great ideas!! Your post is going to be featured next week(4/7) from this week’s Good Tips Tuesday party! 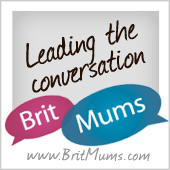 Thanks for linking up and we hope to see you back again this coming week! Wow, thank you so much, that’s really great news. Thanks again, have a great weekend! Great, hope you find something of use, thanks for pinning. Thank you! We have so much more room on the playroom shelves now that all of the jigsaws are in ziplock bags. Thanks so much for visiting. What a great idea for when the kids were being ungrateful to make them earn their toys back. I do feel bad for you for having to deal with cranky kids. Thanks for the story and the suggestions. I love this idea!! I will be making one of these ready for the half term holidays coming up next week!